Media size: 7-1/2" x 9-1/4"
Chemistry notebook features perfect binding, numbered pages, and flush-cut hard cover. Cover is blue. 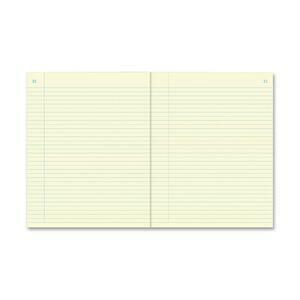 Green Eye-Ease paper is legal/narrow-ruled with a margin. Notebook contains 60 sheets. Sheet Size 7 1/2" x 9 1/4"